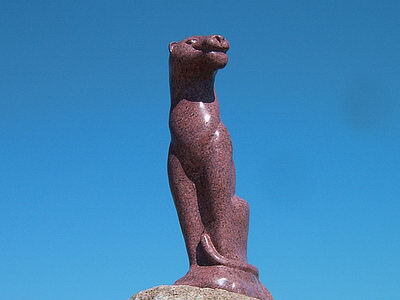 Industrial and commercial company "Red Stone" Ltd.
manufactures and sells split granite sett of various sizes and colours made of natural stone mined from Leznikovsky granite deposit. "Everything in the world is afraid of time, but even time is afraid of the Egyptian pyramids" - well-known aphorism says. How many man-made products passed to non-existence, were destroyed by inevitably varying nature! Wood decays, iron becomes rusty, and only natural stone observes this changeable world haughty during thousand years! There is no more stronger and reliable natural material in the world. And among all types of stones, granite always was well-known symbol of durability. First signs of its destruction granite starts to find out more than 500 years later, therefore not in vain it is called 'an eternal stone'. It takes all kinds of mechanical and thermal processing, it is well split and accepts high quality polishing. Just for this reason production made by "RED STONE" Ltd. is necessary for everyone who wants to touch to Eternity. "RED STONE" Ltd. manufactures and sells split granite sett of various sizes and colours from natural stone mined from Leznikovsky granite quarry and processed on the Italian high tech equipment (up to 1000 t/month). Our production finds wide application in construction of bridges, quays, roads, pavements, garden paths, due to the mineral properties and ecological safety of this natural stone. What are the advantages of split granite stone cubes before other road coverings (asphalt, for example)? Sett made from natural granite, has more stronger structure in comparison with other materials, that is very important in our climatic zone, it stands temperature drop and serves much longer than other coverings. Moreover, under the natural climatic heating, stone blocks are not softened and keep their strength properties. Life time of sett is no less than 250 years. Granite, in comparison with marble, does not demand additional protection against mechanical damages and influence of acidiferous liquids. In contrast to asphalt, stone cubes does not evolve harmful volatile compounds, and also does not disturb natural needs of green plants in gaseous and water exchange and that is favourably effects on the city appearance and peoples' health. Water do not stay long on stone blocks, and it's very important for pedestrians. Besides, the rise of subsoil water level is excluded. If You need to carry out any repair work (for example, to lay underground communications, etc.) 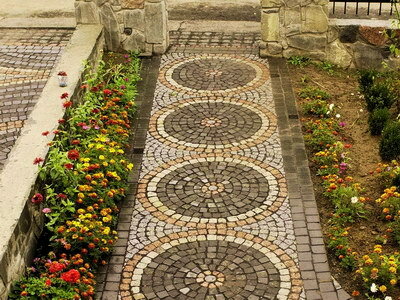 it is easy to disassemble paving slab, then carry out necessary works and lay it again. So it is recommended to use sett in the places where underground communications run. The colour spectrum of cubes may be various, but granite sett do not lose its colour richness in the course of time. 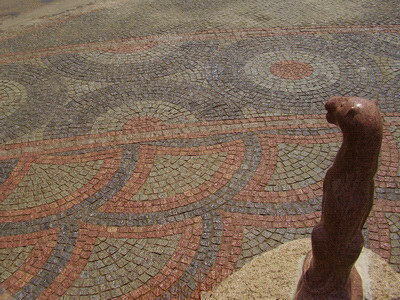 The pattern of each stone is never repeated, and it makes the road coverings original and prestigious. The cost of sett paving is not much more expensive than the cost of asphalt. However, due to its strength and durability, it does not demand any repair or updating. And in a year of its operation the difference in the price will become covered. In future working costs will be lower, than as for an asphalt covering.